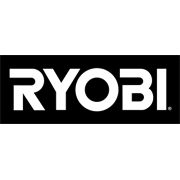 Adding a smooth finish to your work has never been easier thanks to the Ryobi One+ 18V cordless belt sander. Whether you’re working on DIY jobs at home or larger projects, you’ll love the convenience and the power of this handy sander. •	Lock-on button for continuous use to reduce hand fatigue. Including 3 belts, a dust bag and a dust port adaptor, you’ll have everything you need to get the job done. 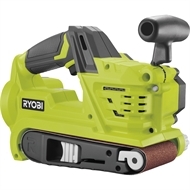 The 18V One+ belt sander fits in with your other One+ power tools and is compatible with your existing One+ universal battery platform.